I'm not really a "betting man," but more of a "prognosticating person." I'm "prognosticating" that Boeing and the Starliner will slip to late 2019 for their first missions. Unmanned. Overweight was a direct function of the Ares I "pogo-stick" rocket, (even tho' they called it the 'stick' in private, I inserted the pogo prefix). I seem to recall GW mentioning that the longitudinal vibrations required a heavier spacecraft, which ultimately resulted in an inability of the "as designed' system to achieve orbit because it was too heavy? Peeling weight from a finalized design is damnably difficult! Yes longitudinal just like in a pipe organs resonance sound since they changed the length from 4 segments to 5 the resulting pitch changed. As for Boeing and even of space x date slips is that being caused by Nasa? + McKinsey and Company, Inc. of Washington, D.C.
NASA estimates the combined value of all awards will be approximately $11 million, with each contract not to exceed $1 million. It does not matter which vehicle launches first. Commercial Crew assignments announced today. Remember, the first crew to the ISS on a commercial vehicle gets to "Capture The Flag" left by the crew of STS-135/Atlantis in 2011! That's how long the most powerful country on Earth has been unable to launch its own astronauts. The two companies must each execute two test flights to the International Space Station (ISS) in order to be certified to perform operational crew rotation missions. 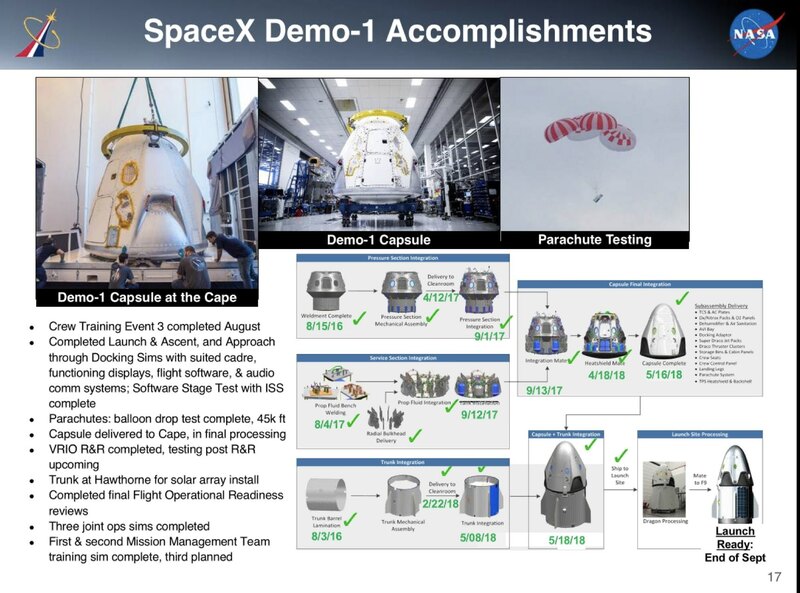 On the SpaceX side, the company will first execute an uncrewed test flight of the Crew Dragon spacecraft called Demonstration Mission 1 (DM-1) – currently scheduled for this coming November. It will then be followed by a crewed test flight designated Demonstration Mission 2 (DM-2). In between the two missions, SpaceX will also execute an in-flight abort test. In terms of Boeing, they will perform an uncrewed Orbital Flight Test (OFT) with the CST-100 Starliner followed by a Crewed Flight Test (CFT). A pad abort test will be also conducted between the two missions. 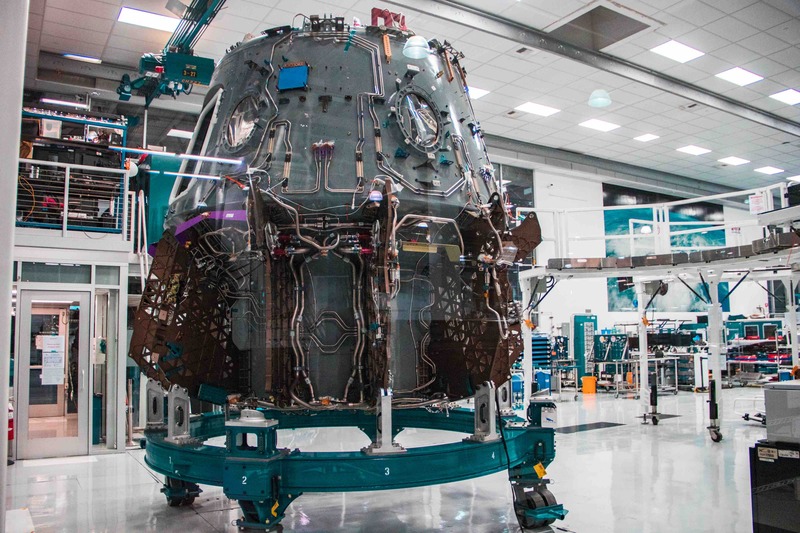 SpaceX and NASA have pushed the first test flight of the Crew Dragon capsule back by 10 days, partly to avoid a traffic jam at the International Space Station (ISS). That's four days after one of Crew Dragon's robotic, cargo-carrying cousins departs the orbiting lab. The cookies will be long gone andthe presents claimed from the Dragon that will be hauling garbage back doen. One could only wish for traffic to space being that high all the time. 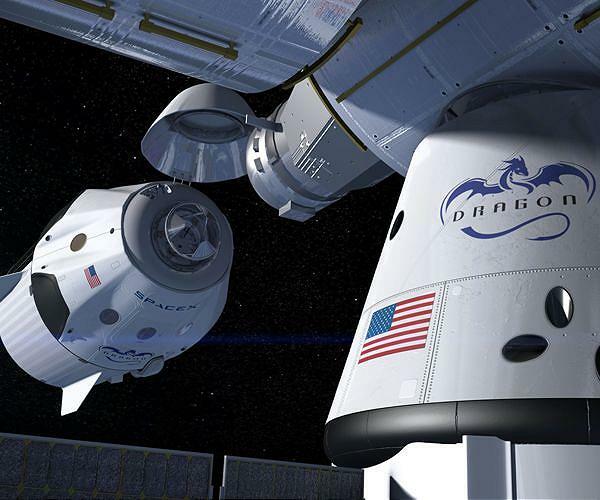 SpaceX holds a multibillion-dollar commercial-crew contract with NASA, as does aerospace giant Boeing. Boeing is developing a capsule called the CST-100 Starliner, which is scheduled to fly its first uncrewed test mission in the spring of 2019. Once Crew Dragon and Starliner are up and running, NASA will no longer be entirely dependent on Russian Soyuz rockets and spacecraft to get American astronauts to and from the ISS. This has been the situation since July 2011, when NASA grounded its space shuttle fleet. SpaceX also holds a cargo contract with NASA and has flown 16 resupply missions to the orbiting lab since 2010. Northrop Grumman makes ISS cargo flights as well, using Antares rockets and Cygnus freighters. These panels are covered by a shroud that is jettisoned, exposing them to sunlight after the ship is already outside of Earth’s atmosphere. SNC was one of three companies, along with incumbents SpaceX and Orbital ATK (now Northrop Grumman Innovation Systems), to receive CRS-2 contracts from NASA in January 2016. Each company is guaranteed at least six missions to the ISS under the contracts. 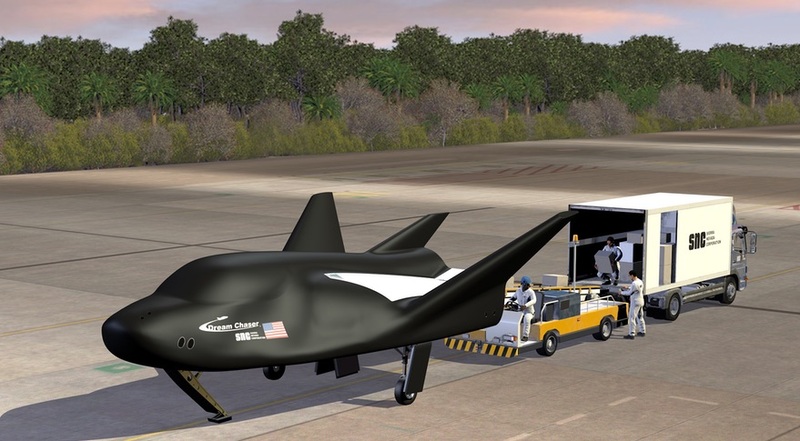 To carry out the missions, SNC proposed a cargo version of the Dream Chaser spacecraft it had been developing for NASA’s commercial crew program. Although the vehicle was not selected by NASA when it awarded contracts instead to Boeing and SpaceX in 2014, SNC adapted the design with foldable wings, allowing it to fit within many existing payload fairings, and a cargo module. The cargo version of Dream Chaser can carry up to 5,500 kilograms of cargo to the International Space Station and return 1,850 kilograms to Earth in a runway landing. The cargo module, which burns up on reentry, can dispose of an additional 3,400 kilograms of cargo. The first Dream Chaser launch, on a United Launch Alliance Atlas 5, is planned for no earlier than late 2020, a date that will depend on the status of vehicle development and cargo needs for the ISS. NASA and its commercial space partner, SpaceX, have pushed back the planned Jan. 7 2019 launch date of the Crew Dragon’s Demo Flight 1 (a test flight with no astronauts on board) by 10 days to Thursday, Jan 17. 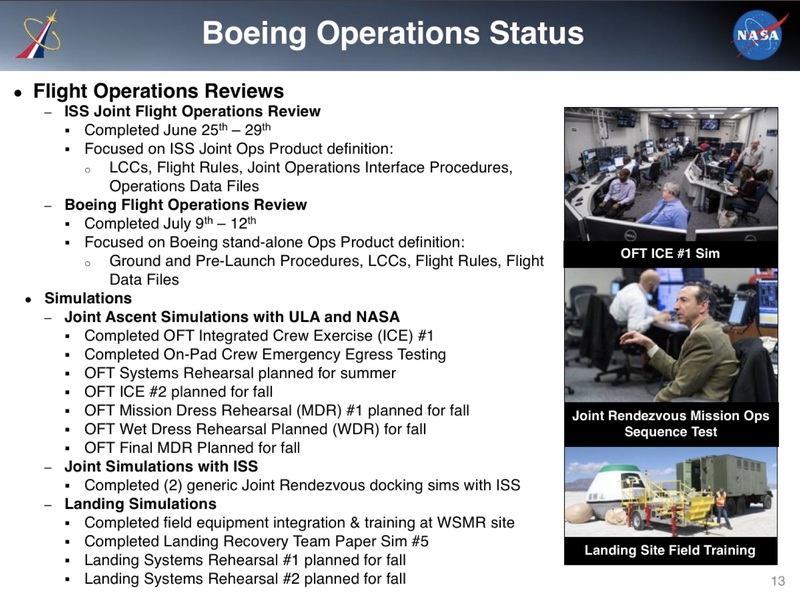 “The key readiness reviews along with NASA’s continued analysis of hardware and software testing and certification data must be closed out prior to launch. The upcoming steps before the test missions are critical, and their importance can’t be understated. We are not driven by dates, but by data. The final Iridium Next mission (number 8) is now scheduled from Vandenberg on 8 Jan, 2019. Blue Origin plays a big part in that long-range portfolio. The company is working on a suborbital spaceship called New Shepard, an orbital-class rocket called New Glenn, a new breed of rocket engine called the BE-4, and a lunar lander concept called Blue Moon. NASA has announced a crew change for Boeing Starliner's first crewed flight, assigning veteran astronaut Mike Fincke to the flight after Eric Boe was pulled for medical reasons. The crewed test flight is due to launch in the second half of this year, assuming that an uncrewed test flight currently scheduled for the spring goes smoothly. Fincke will fly with NASA astronaut Nicole Aunapu Mann and Boeing astronaut Chris Ferguson, who previously flew for NASA. Moving forward SpaceX Test Fires Rocket for 1st Crew Dragon Launch in February and could fly no earlier than Feb. 23. 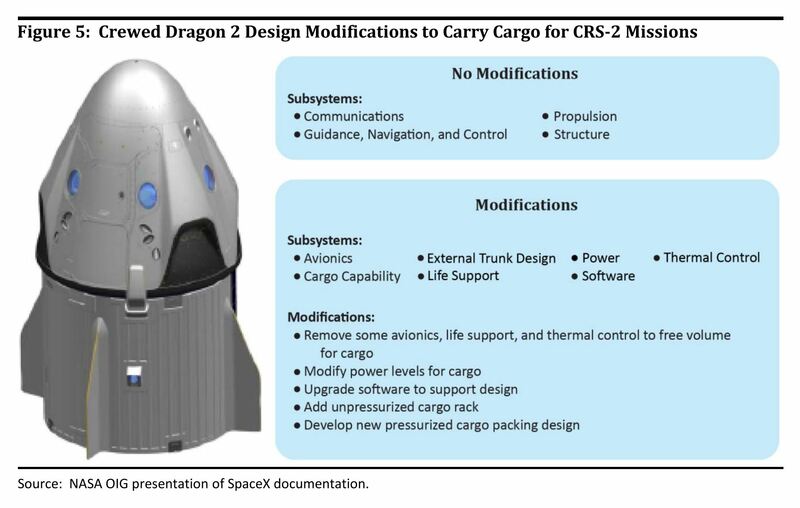 The new Crew Dragon includes life support systems, a launch escape system, solar panels built into the capsule's "trunk" service module and other advancements over its predecessor. NASA awarded SpaceX a $2.6 billion contract to build a crewed version of Dragon (which SpaceX intially called Dragon 2) in 2014. Boeing recieved a separate NASA contract for $4.2 billion to develop its crewed CST-100 Starliner vehicle to fly astronauts for NASA. Both companies are expected to launch their first crewed flights later this year. 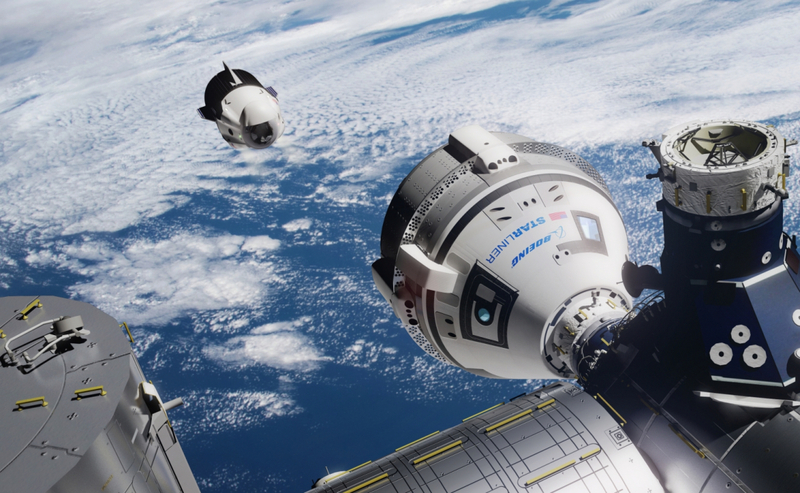 Boeing's CST-100 Starliner won't be taking any astronauts along for its first flight to the ISS, however. After docking robotically with the orbiting lab, it will return to Earth for a parachute landing in Texas. If this test flight goes according to plan, Boeing will be ready to launch its first crew of astronauts to the space station in August, Boeing spokesperson Maribeth Davis told Space.com during a presentation of Boeing's future vision for space travel here. Coincidentally (or not), this also reduced the interval between Spacex's first flight and favored-giant Boeing's first flight. Since its the first flights of both they can not have anything amiss as these are for making sure we can Human rate each vehicle and launcher as well. That said Space x needs to keep the Falcon 9 and its heavy version still going long after BFR starts to fly as one size does not fit all missions. 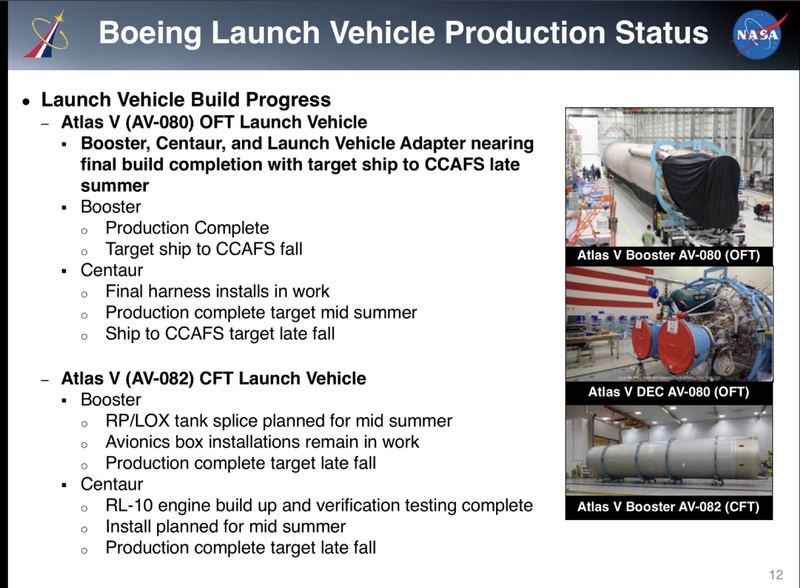 I think the flack over using Russian engines is crap but for the partnership of Boeing and Lockheed plus ULA they will need to stick with what works even with a new launcher coming for them. The legislation, which funds the federal government through September 30th, 2019, would give NASA $21.5 billion — an increase over last year’s budget of $20.7 billion and much more than the $19.9 billion the agency asked for. Practically every major program within NASA will receive a boost. The agency’s science programs, which cover planetary missions and Earth science, will receive a total $6.9 billion, up from $6.2 billion from last year. The human exploration program will get $5 billion, while it got $4.79 billion in 2018. NASA has been using the Russian Soyuz vehicle for trips to the International Space Station since 2011, but it’s working to change that with its commercial crew program. Despite progress, a safety panel published a report last year pointing toward delays in the program, warning that NASA needed a contingency plan in order to avoid disruption to its ISS operations. 6 month cycles to and from ISS requires 2 seats to be purchased per year. Since no American rocket is flying yet we are still reliant of Russia for being able to use our part of the ISS. If there's a manned flight later this year, then that negates the requirement to purchase seats from the Russians. My take on this is that it's good to keep all of our options open. My preference is to have 3 human space flight qualified vehicles (Dragon 2, StarLiner, DreamChaser) and 3 launch services providers (SpaceX, ULA, Orbital ATK). If something happens to one and it takes time to investigate what happened, then there are still backup providers available for NASA to use. Like it or not, the Russians are also our partners aboard ISS and that is how we should view their space flight program, irrespective of our profound political differences. The Russian's astronaut training program is so good, because it focuses on absolute mastery of the fundamentals, that we send our astronauts to Russia for training. Should we have our own program modeled after their program? Probably. Are we going to do that any time soon? Probably not. I would love to have a single seat space capsule that uses StratoLaunch for "any time" / "any place" launches to ISS or LEO. It would use an Orbital ATK solid rocket booster in conjunction with a Rocketdyne RL-10 powered upper stage. Why do we need 7 seat capsules to send 1 or 2 astronauts into orbit to rendezvous with a much larger vehicle / payload? We're still trying to cram the cargo in with the astronauts. That's the exact opposite of what we said we would never do again. This could easily be in the $5M range per launch with economies of scale. It's still expensive, but cheaper for crew support that may only replace a single crew member with a new one. Could we develop one from this? The payload bay is just about big enough to fit someone in in a recumbent position. Maybe two.